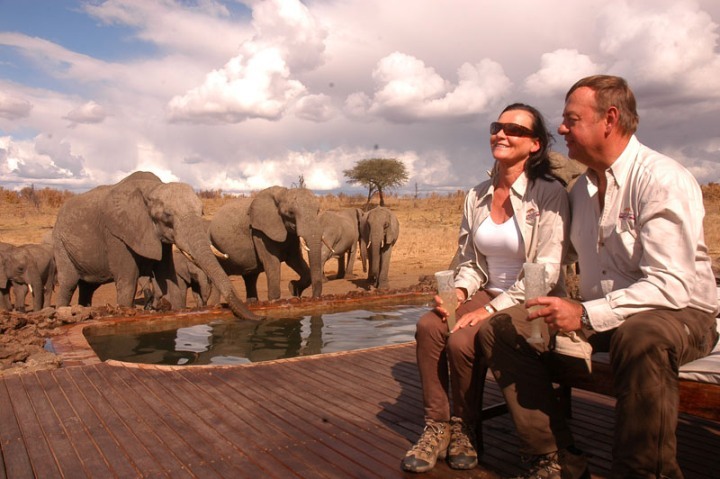 Start with one of the most famous World Heritage Sites and home to the largest waterfall in the world – Victoria Falls. 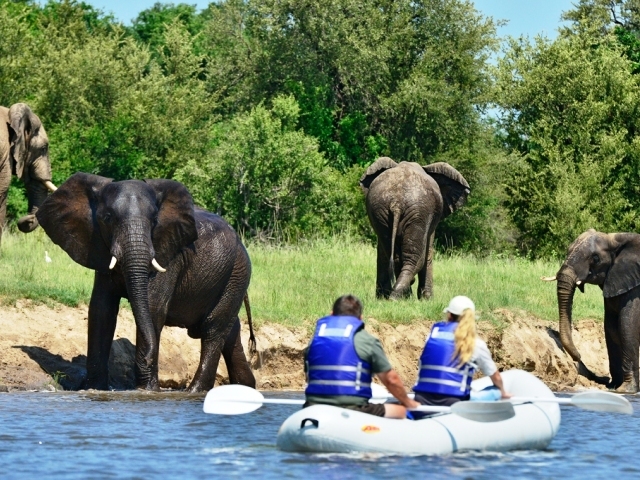 Three nights at Victoria Falls River lodge, which is a 20-minute boat transfer from town, offers you a wildlife experience with a variety of activities but at the same time quick access to town and all that it has to offer. 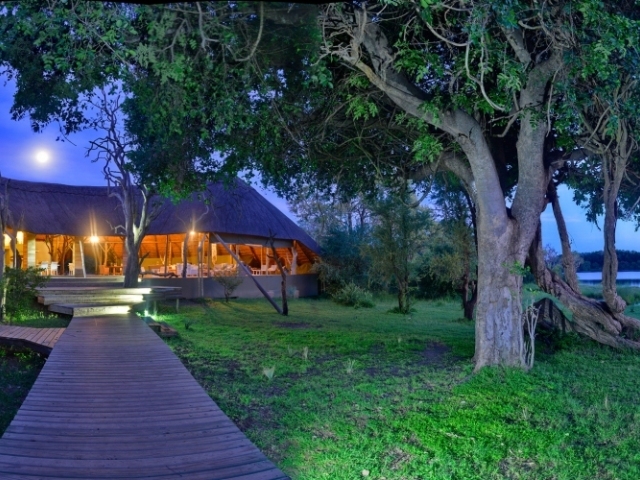 It’s hard to find a better place to stay in Victoria Falls than this! 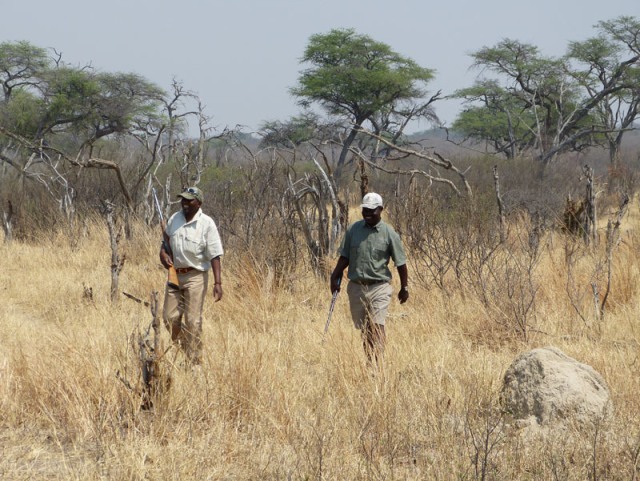 Prime game viewing, with excellent guides on the Somalisa private concession in Hwange National Park. 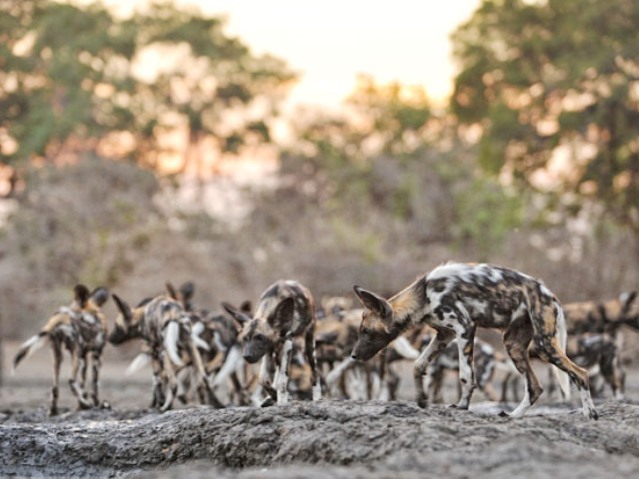 Kanga camp is the only waterhole for many miles so is a magnet for all game species in the dry season, sit and watch as the game comes to you. 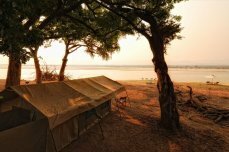 Zambezi Expeditions is a privately located tented camp along the Zambezi River shoreline, with a variety of land and water based activities and excellent guides. 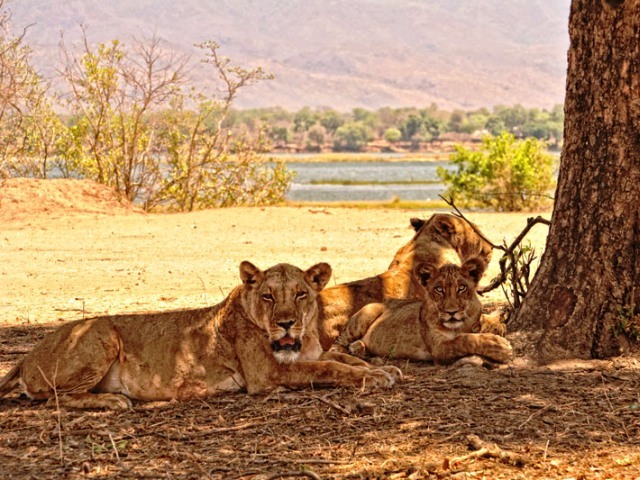 Mana Pools is a world heritage site and an area of outstanding natural beauty, filled with wildlife. You get the opportunity to experience the best of what this iconic park has to offer. 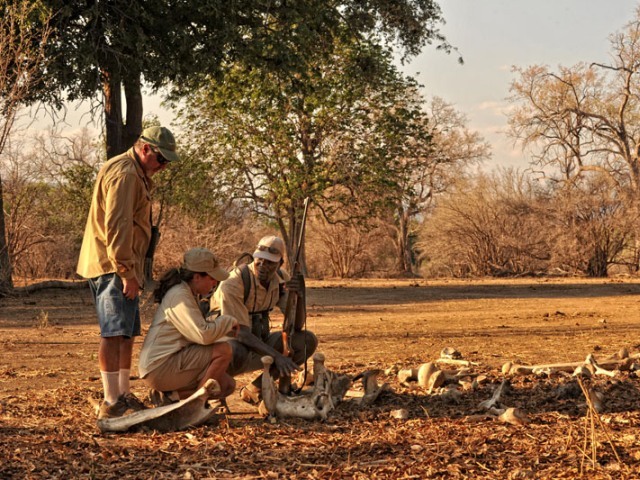 You have two full days at Victoria Falls River Lodge to enjoy the activities they have on offer. Please read below about these activities and arrange these with the lodge mangers onsite. 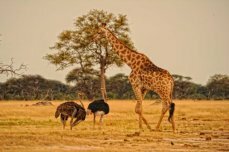 During this time, you will also want to make a trip into town to see the magnificent Victoria Falls and possibly partake in some of the other activities that are available (not included). 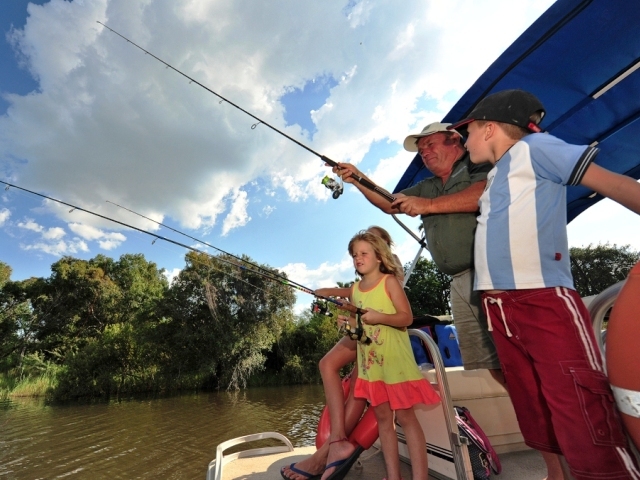 Typically, guests partake in early morning and late afternoon game drives or boat cruises, but you also might want to try your hand at a bit of fishing during the middle of the day. 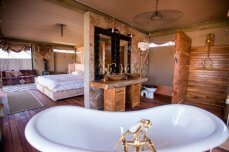 The camp is positioned perfectly on the river bank, with wonderful views so taking time to relax in your luxurious room is also highly recommended. 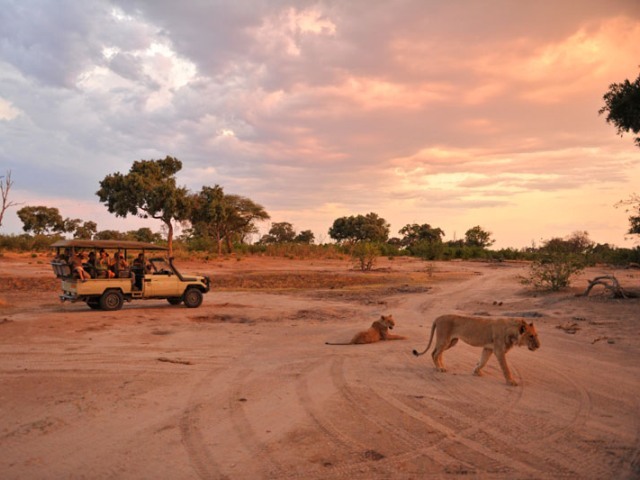 Guests have choice of either a morning or evening game drive in the Zambezi National Park. 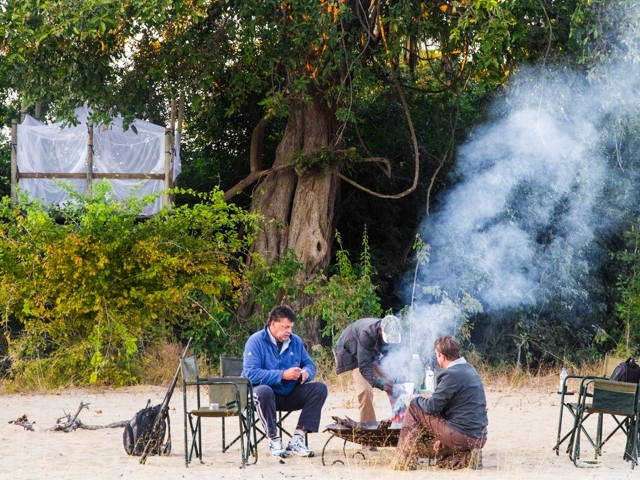 For the ultimate bush safari experience, head out in a game-viewer to explore the Zambezi national Park early in the morning, armed with hot beverages and a delicious supply of traditionally baked rusks. 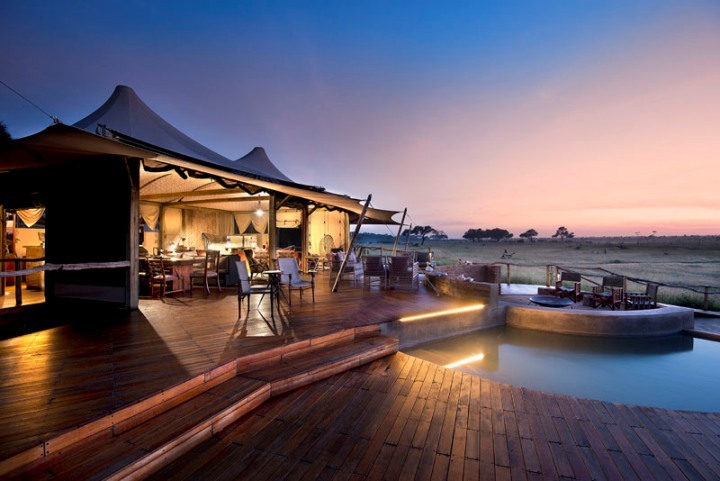 Alternatively, track a magnificent elephant herd as they move silently through the bush, or admire stately giraffe as they effortlessly weave their way through spiky acacia thicket – stopping to enjoy the phenomenal sunset with sun-downers and a variety of scrumptious snacks before returning to camp for dinner. 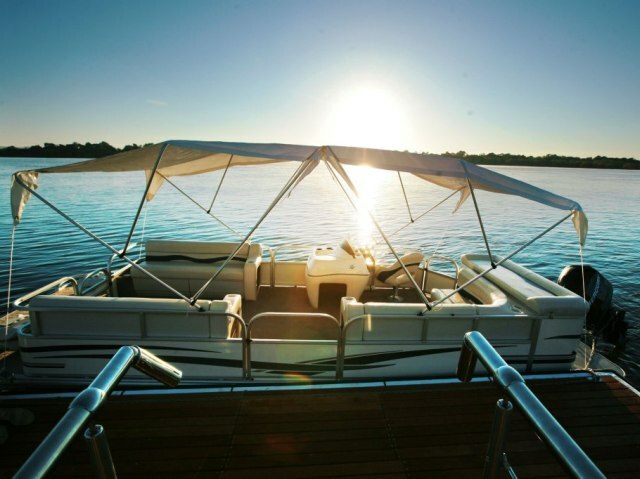 Watch from the comfort of a private river cruiser as the world awakens and the sun’s first rays skip and dance across the shimmering surface of the mighty Zambezi River – A truly revitalising way to start any day! 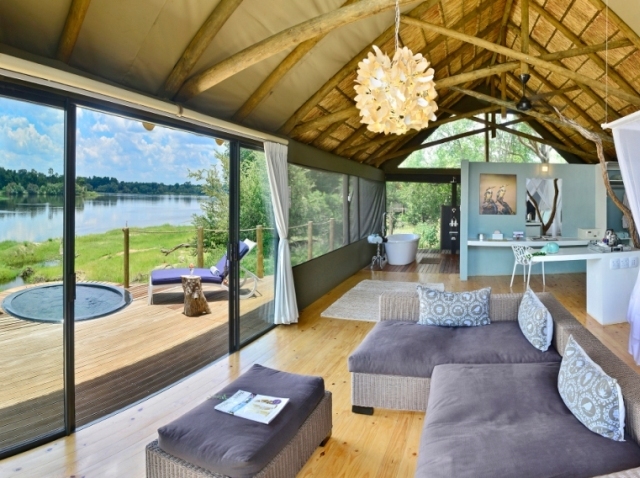 For the not-so-early birds, sit back and let the gentle ebb and flow of the Zambezi lull and relax you, while you sip on sundowners, viewing nature’s creatures, big and small, coming to the water’s edge. 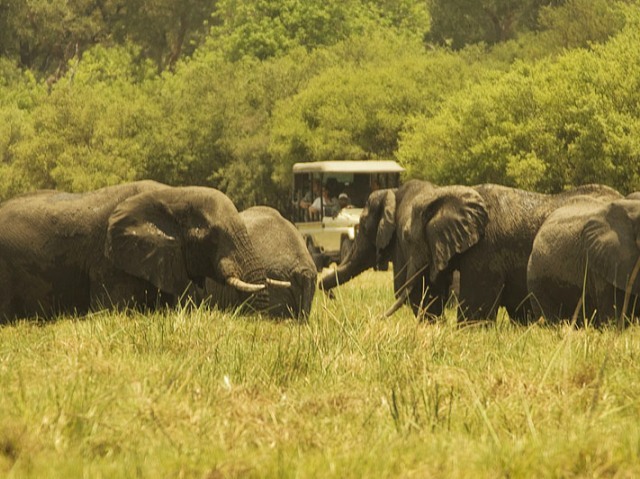 Today, you will be transferred after breakfast to Victoria Falls airport for your charter flight to Hwange. 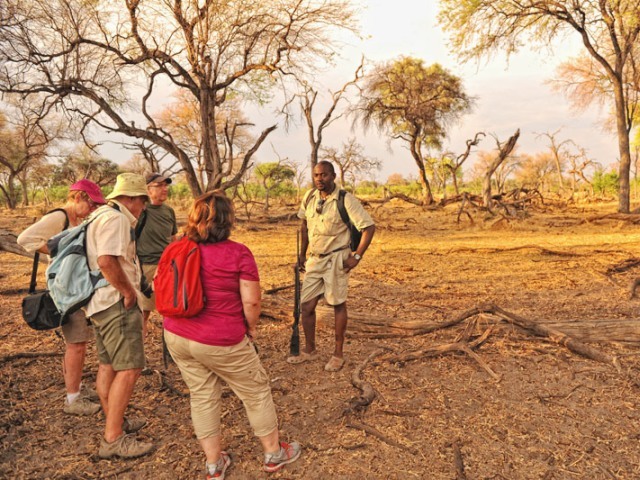 Your flight takes about 50 minutes, then it’s a 30-minute game drive to Somalisa Camp. 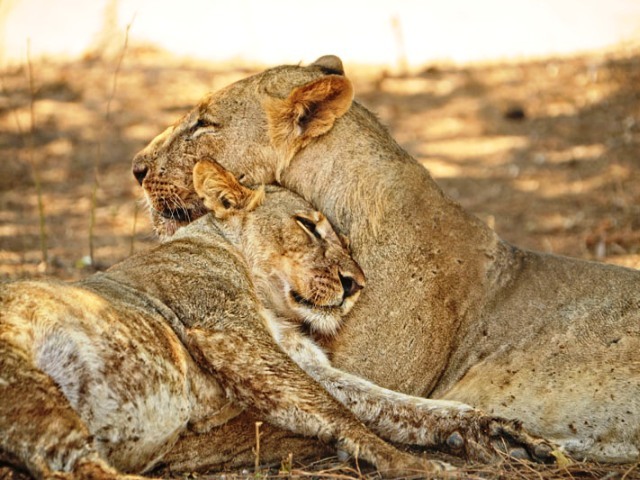 After lunch it’s siesta time during the heat of the day, so take time to relax in your room or the main lodge area and watch animals as they come down to drink at the waterhole. 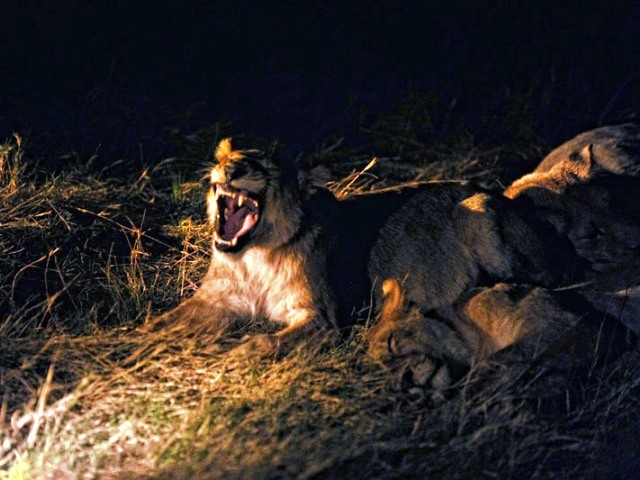 Then it’s your chance to see some fantastic wildlife on an afternoon and evening game drive with your experienced guide. 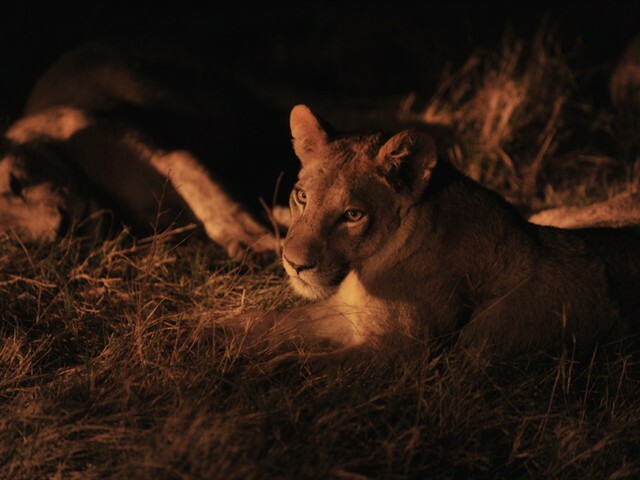 Return to the lodge after sunset, freshen up and enjoy a delicious dinner and evening around the campfire, recounting stories of the afternoons wildlife sightings. 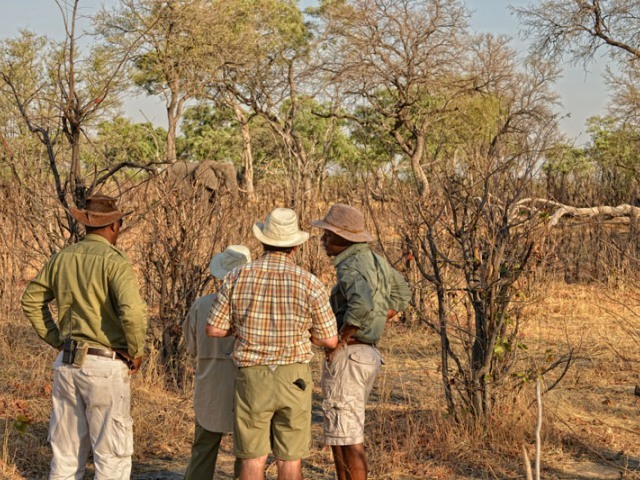 Morning and afternoon game drives are by qualified and passionate guides who will share their knowledge and love of the bush with you. 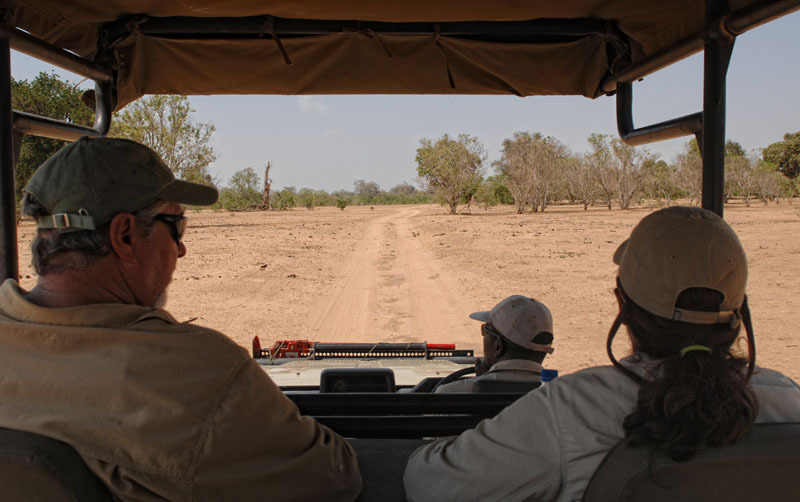 The open land cruisers will accommodate six passengers on tiered seating so that views are not blocked and photographic opportunities are enhanced. 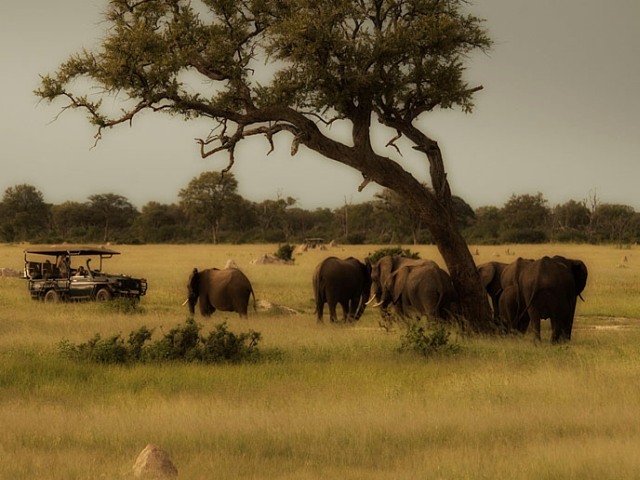 Each of our vehicles are fitted with permanent canvas roofing to protect you from the varying weather elements, whilst still allowing an optimised up close and personal experience of wildlife. 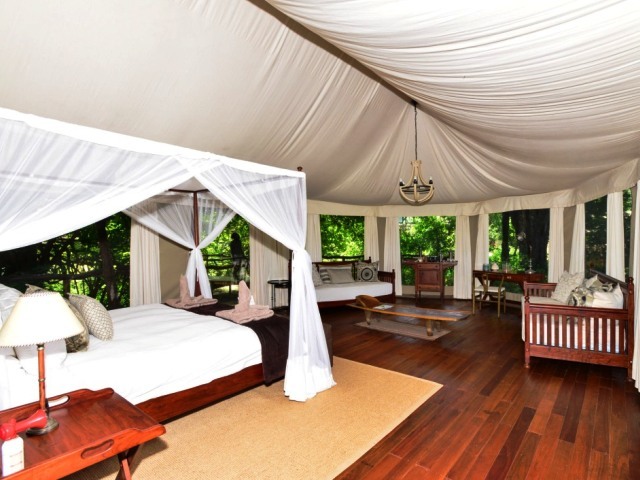 Indulge in a final morning game activity on the Somalisa private game concession before being transferred after breakfast to the airstrip for your connecting charter flight to Bumi Hills. This scenic flight, over some rugged terrain takes about 1 hr 20 minutes followed by a short drive up to Bumi Hills Safari Lodge. 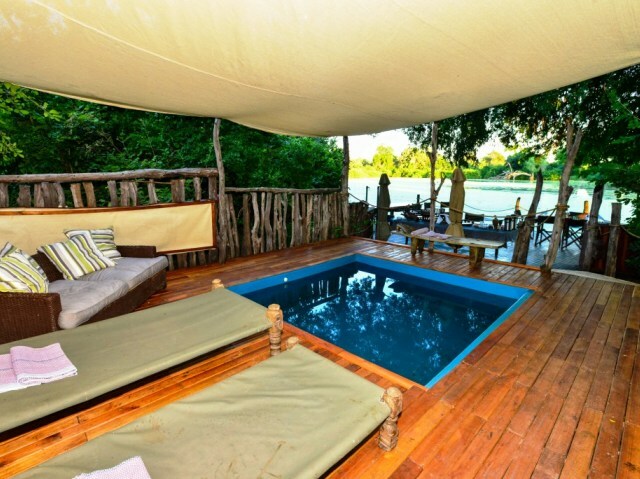 The views from the lodge are spectacular and you will most likely want to relax on the deck or by the infinity pool and soak it all in, whilst enjoying a drink and some lunch. 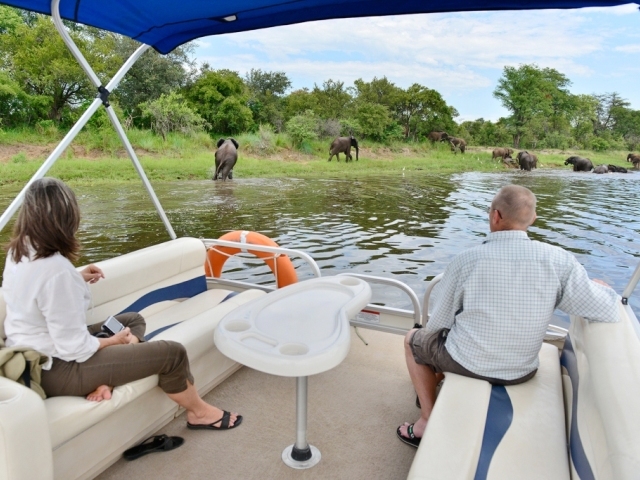 In the afternoon you can go to one of the game viewing platforms, or enjoy a spa treatment (optional extra) to wind down the day or if you prefer a sunset boat cruise on the lake will guarantee an unforgettable day. Dinner will be served at the lodge restaurant. Bumi Hills is not only a wonderful place to relax, it also offers a wide range of activities from game drives and boats cruises to fishing and cultural village visits. 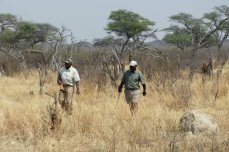 The scenery is just beautiful and the area contains a huge diversity of flora and fauna which is not to be missed. Please see details of the activities on offer below and arrange these onsite with the lodge managers to suit your individual needs. 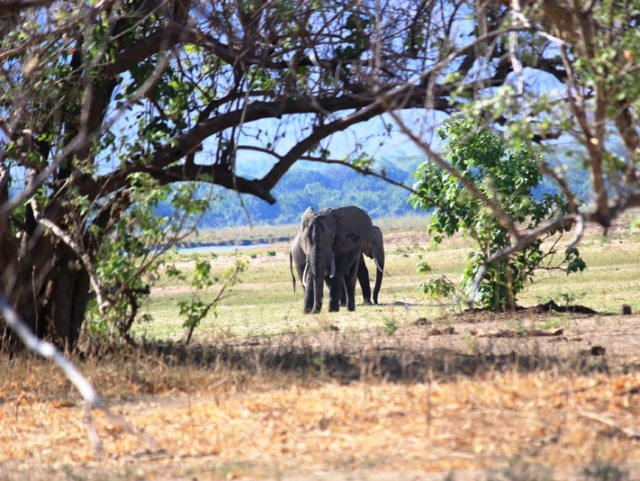 The planet’s most voluminous man-made lake, Kariba is a popular tourist destination that was created in the 1950’s when the mighty Zambezi was dammed. 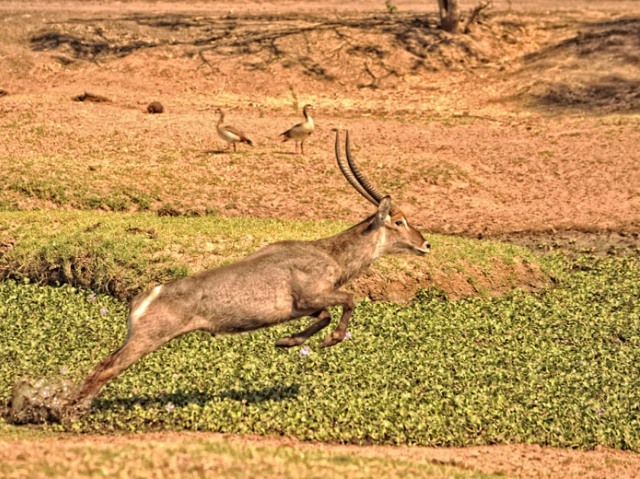 It stretches for more than 200 kilometres along the border between Zimbabwe and Zambia, forming a natural boundary between the two countries. 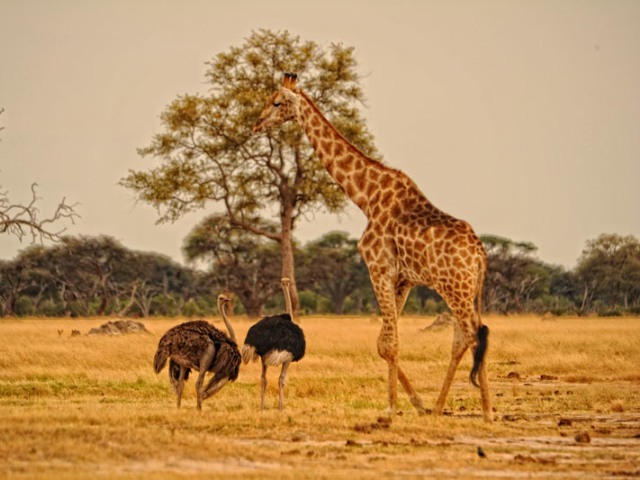 The lake’s waters are home to abundant crocodiles, hippos, fish and aquatic birds, while its shoreline and islands are rich with terrestrial game such as elephant and buffalo. 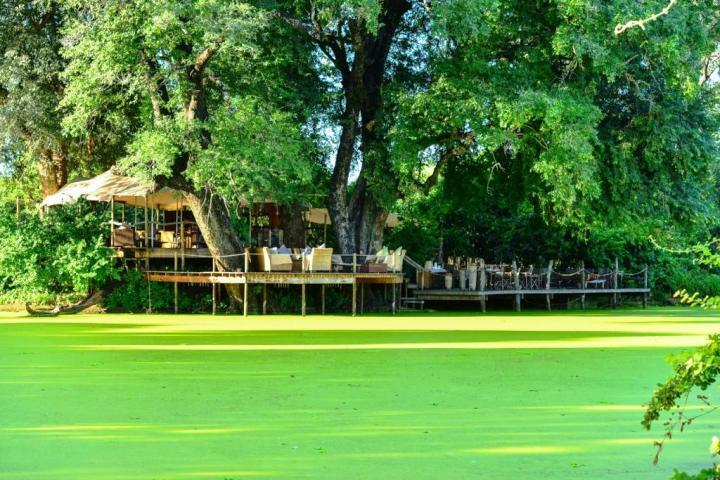 It has become one of Zimbabwe’s main tourist attractions offering houseboat holidays, fishing safaris and wonderful game viewing experiences. 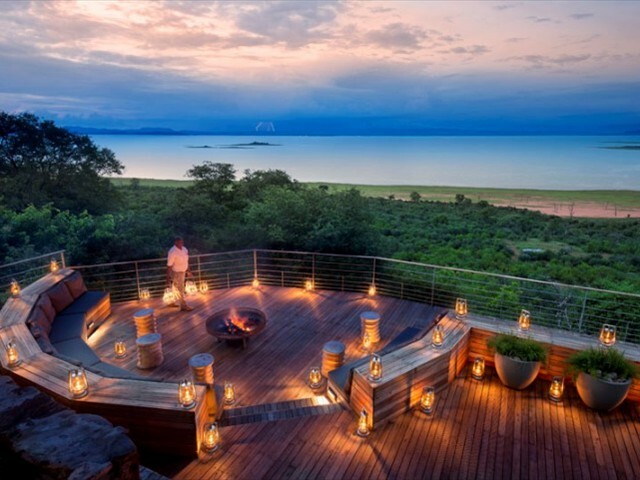 Bumi Hills Safari Lodge boasts one of Africa’s finest wilderness locations with an elevated position on a range of remote hills overlooking the vastness of Lake Kariba. 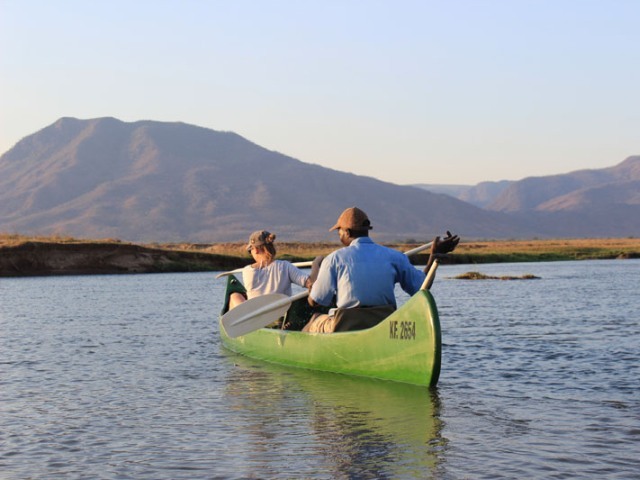 Bumi is situated near the North Eastern border of the Matusadona National Park and is easily accessible by light aircraft and boat, allowing you to be swiftly transported into paradise without the stress of a long journey. 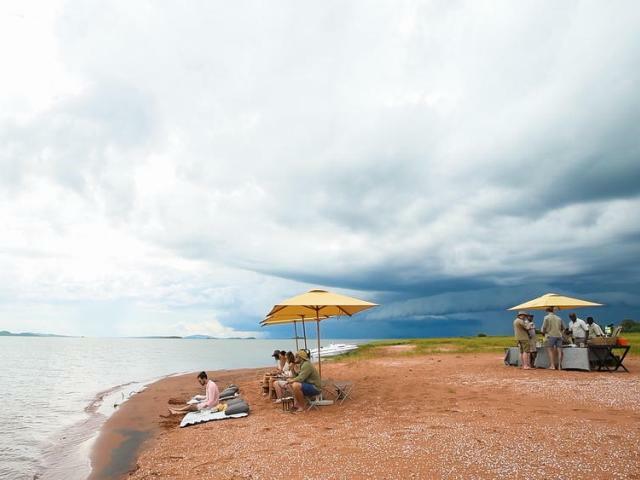 The safari lodge has a total of 10 rooms, all with views over Lake Kariba. 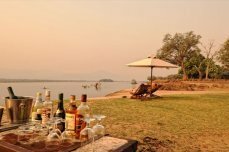 All rooms have balconies and uninhibited views over Lake Kariba. There are garden rooms available too, reserved for guides and tour leaders, with slated terraces, set a little way back. Taking centre stage is the beautiful infinity pool that seems to blend endlessly into the lake horizon. The pool is surrounded by intimate wine and dining terraces on different levels. 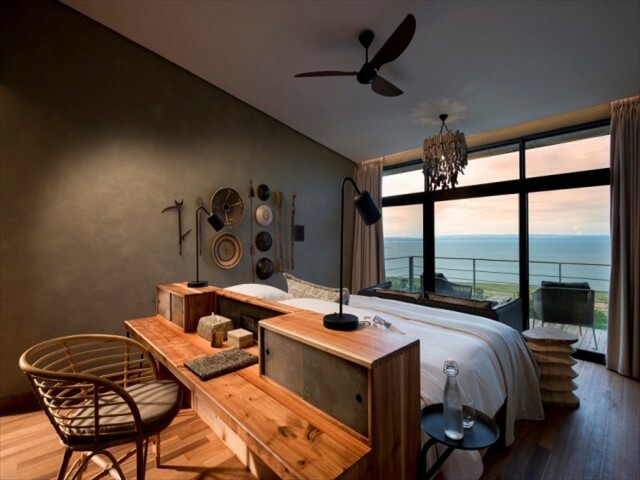 The lodge interiors have been beautifully finished in a fusion of contemporary western and African styles. 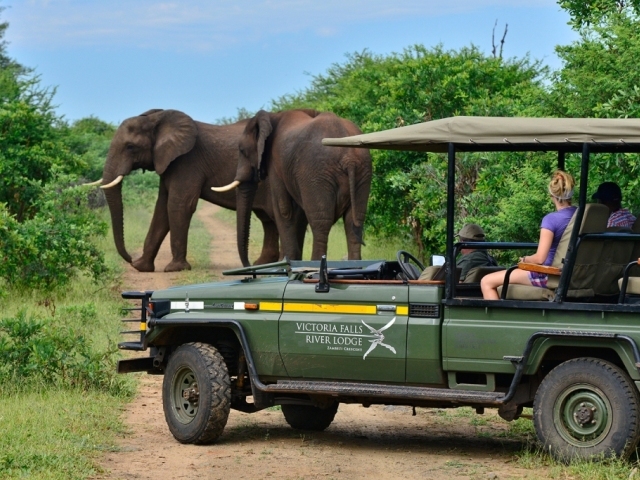 Bumi Hills Safari Lodge is situated on an extensive wildlife conservation area. 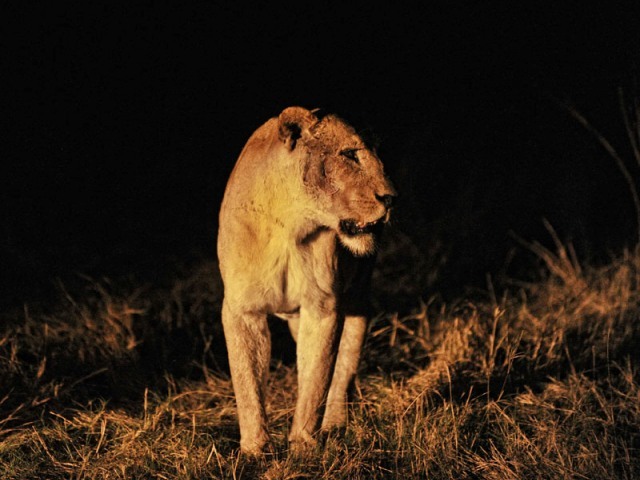 Bumi Hills is home to lion, leopard, big herds of elephant and buffalo, as well as a multitude of different plains game. Guests can indulge in superb fishing in the lake waters surrounding the safari lodge with bream and the fighting tiger fish in abundance. 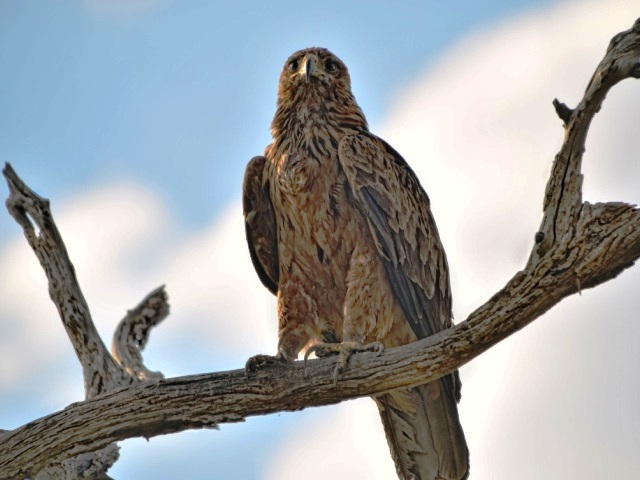 Birding and cultural experiences (with the rich local Tonga culture) also abound. 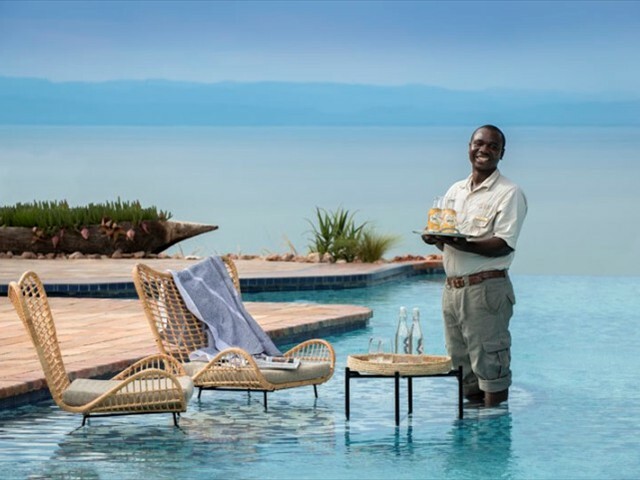 Bumi is unique among luxury safari lodges because of the exquisite added dimension of the water - Kariba is among the world’s largest man-made lakes and a genuine African wilderness with far more animals than people. 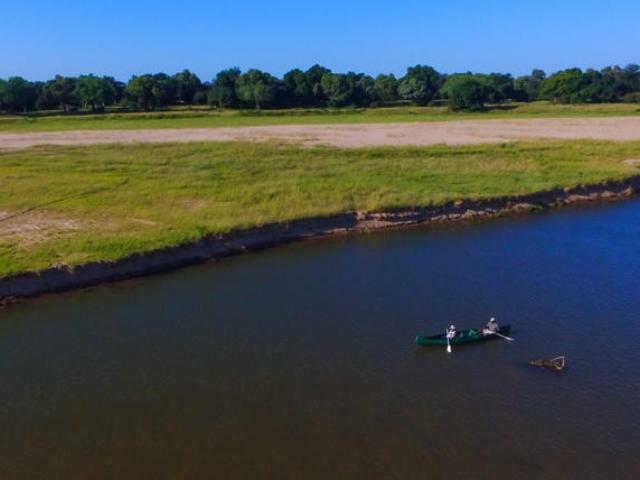 This allows for glorious game-viewing by boat as well as the traditional open 4 x 4 vehicles and walking in the wild with an armed professional guide. 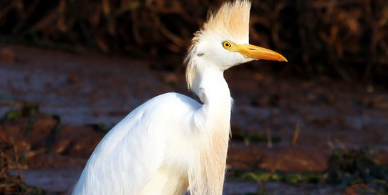 The Bumi area offers truly incredible birdlife, especially water birds, and hundreds of species have been recorded. 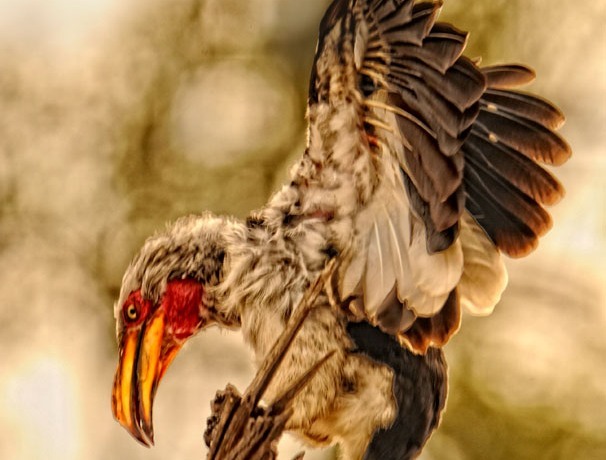 It is a thrilling location for photography of the majestic scenery and wildlife, but also the prolific bird life for enthusiasts. 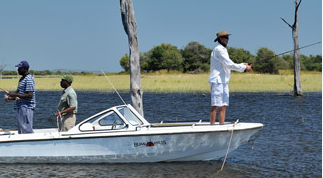 Bumi is the prime fishing region of Kariba and is a major attraction that sets it apart from any traditional luxury safari lodge. 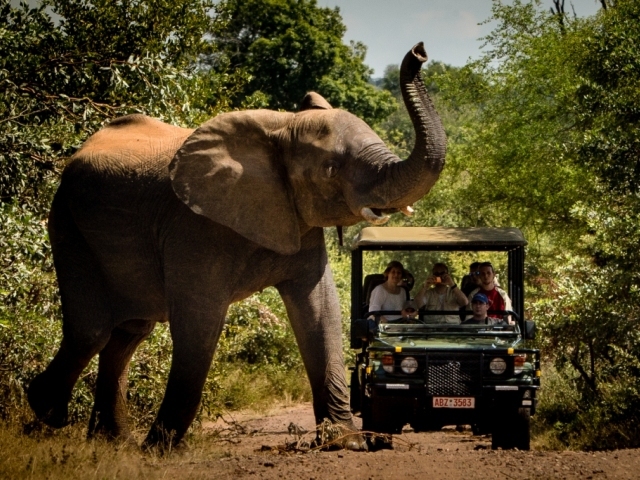 Here it is rated one of Africa’s Top 20 adventures. You’ll thrill to catching the razor toothed tiger, pound-for-pound one of the world’s most powerful freshwater species. 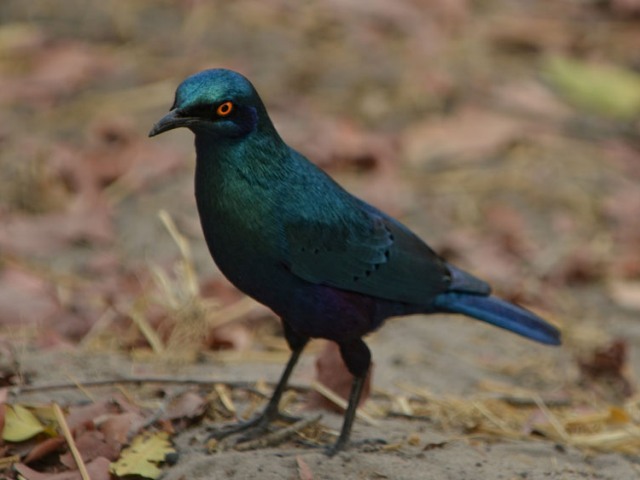 The Bumi Hills Wildlife Area is bordered in the north west by the Chalala and Mola communities, which are home to the Tonga, a delightful and very spiritual people who have resided in this area and along the length of the Zambezi River for centuries. They have preserved ancient traditions and still live a largely subsistence lifestyle that is reliant on fishing, livestock and small scale farming. In the village of Chalala these customs have melted together with the inevitable infiltration of modern ways of life. However, the luxuries of a permanent electricity and water supply to homes are still absent, leaving the communities still largely reliant on the surrounding environment for their livelihood. 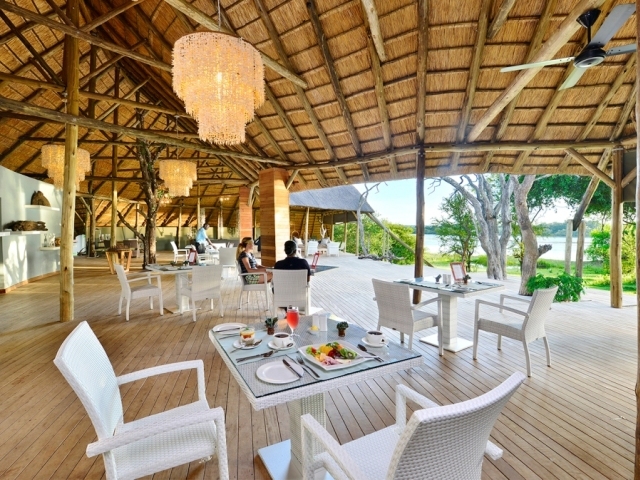 After a morning game drive, enjoy a delicious lunch on Starvation Island. 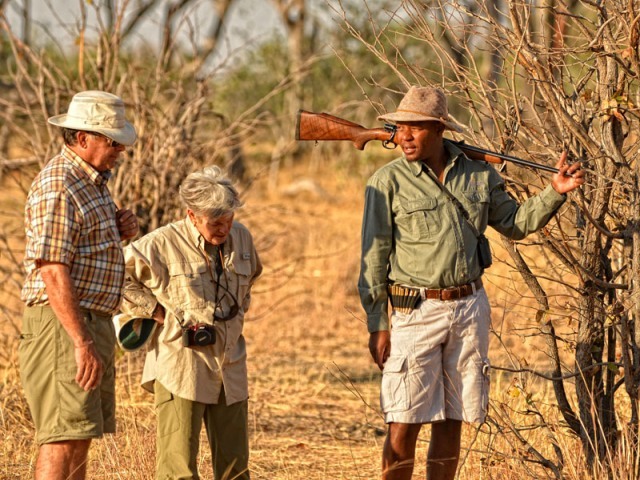 Sometime during the morning, depending on the flight schedules of the day you will be transferred to airstrip for your charter flight to Mana Pools. 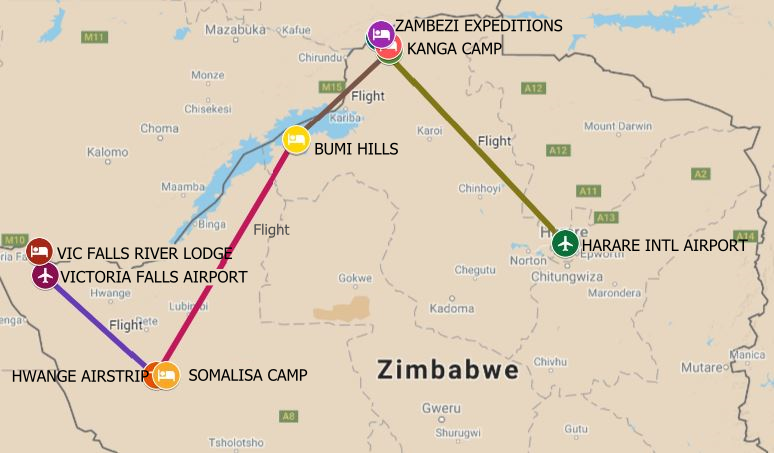 This flight takes about 45 minutes, partly across the lake and then down the Zambezi valley arriving at Mana airstrip where a game drive vehicle meets you and transfers you into Kanga Camp. 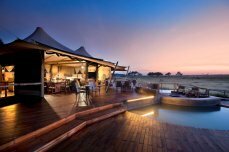 Kanga is situated on a waterhole deep inland, it being the only water around for miles, it attracts a continuous variety of game. The focus of this camp then is to sit and watch and see what comes to you. A three course meal is served in the dining area on the main deck under the trees. Wind down with some drinks and stories before retiring for the night. 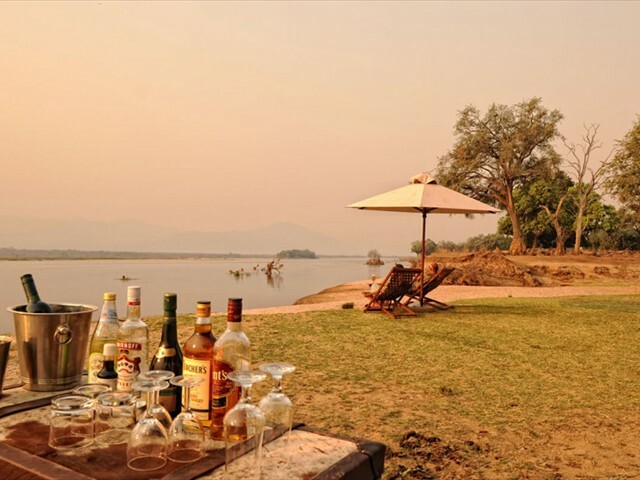 One full day at Kanga offers a completely different perspective to the Mana Pools you will be experiencing during the following 4 days at Zambezi Expeditions on the flood plains by the river. As said before, the focus is the waterhole in front of the camp but you might also feel like doing one game drive or walk to see the area. 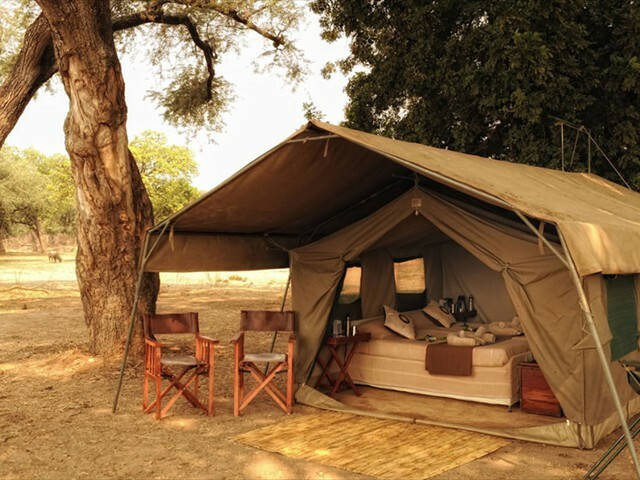 If you wish to do the sleeping out experience (Kanga under the stars), your guide will walk you about a kilometre out of camp to the elevated sleeping platforms. 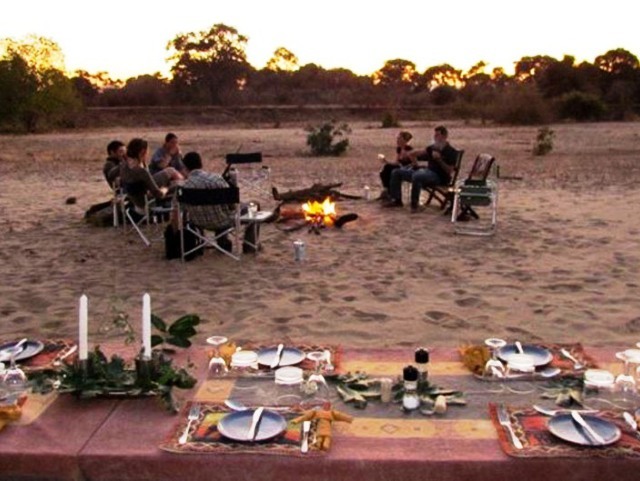 Your drinks will be waiting for you around the campfire, and your dinner will be served while you are out there. 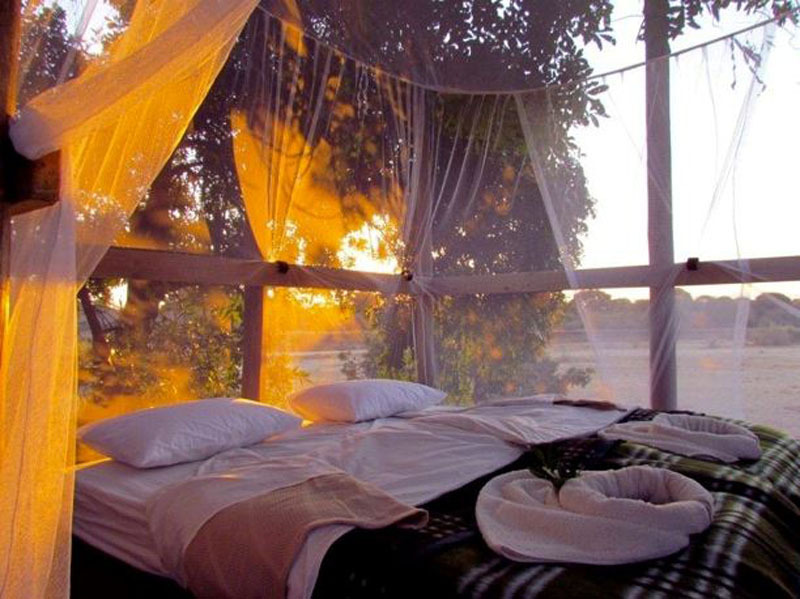 Enjoy the sounds of the wild and the African night sky. Please see below more detail of the activities and liaise with you camp managers site. 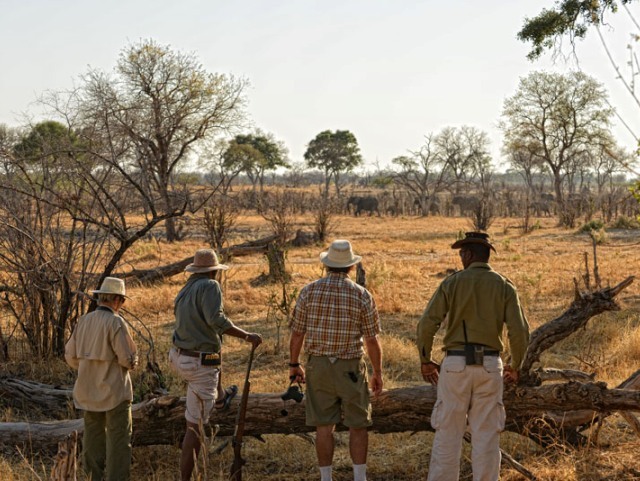 On your last morning at Kanga you will be picked up after breakfast for the hour long game drive to Zambezi Expeditions on the Mana Pools shoreline. This gives you your first glimpse to this area of outstanding natural beauty and the phenomenal wildlife that it contains. 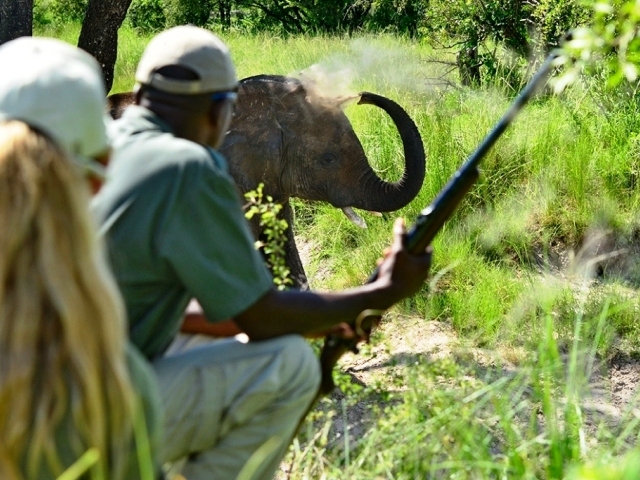 The next three days are filled with excitement, adventure and outstanding game viewing. 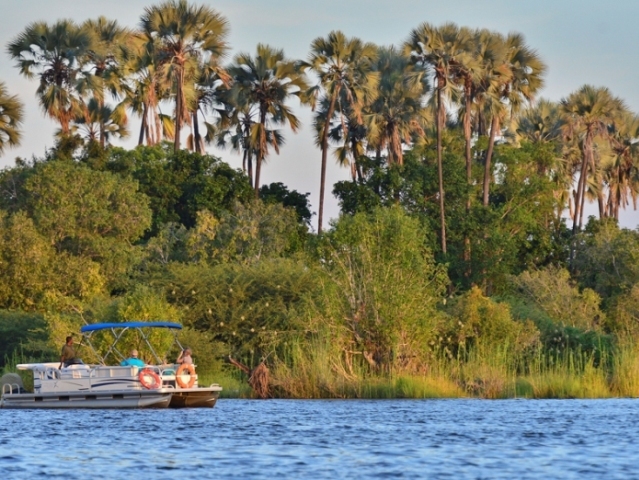 Zambezi Expeditions has a wide variety of activities available both land and water based which allows you to truly explore this wonderful area. Generally, guests do an early morning and late afternoon activity and then relax during the heat of the day savouring the beautiful vista from the camp itself. 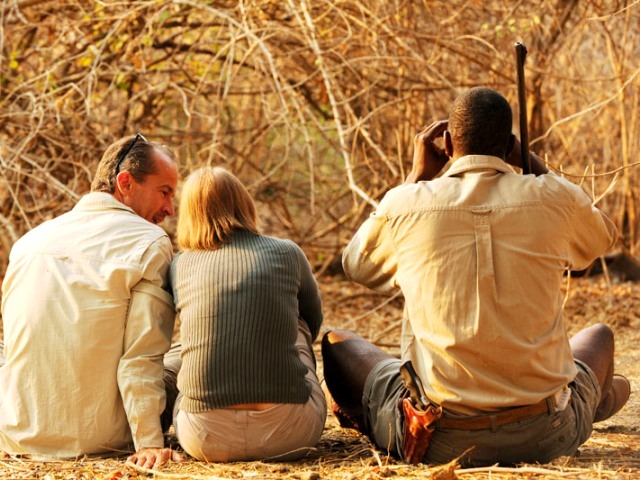 All-day trips, travelling further afield can also be arranged if this suits you. Please see details on the activities below and arrange these with the camp managers onsite to suit your individual needs and animal movements at the time of your visit. 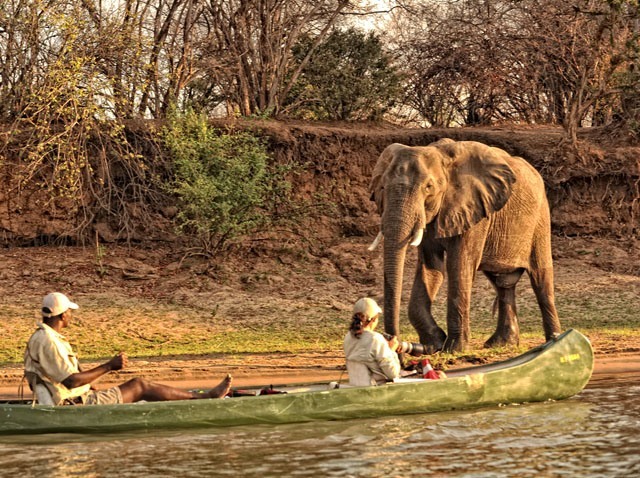 Whether it be walking, driving, canoeing or fishing the guides at Zambezi Expeditions are all highly trained and considered to be amongst the best in Africa.